Lexus is no new name when you talk about luxury, looks and performance. With its series of model it has proved its mark from time to time and here they are carrying the legacy with their all new Lexus LX 570 2015. If asked from us, this new Lexus has all you seek to have from an SUV but we won’t simply project our decision. Let us have a descriptive close look at the entire model and features it offers. Interior of Lexus LX 570 2015 is as luxurious and comfortable as you can expect it to be from Lexus. Cabin features a four-spoke steering wheel mounted with major controls. While the top and bottom of it comes with wood-like finish rest comes in black texture. Same pattern carries till the part over the glove box and center stack. Instrument panel gets a new design while the display screen in center is accompanied by feather-like air vents that make it look classy. Front armrests offers you space beneath to keep some tiny daily use objects and papers. 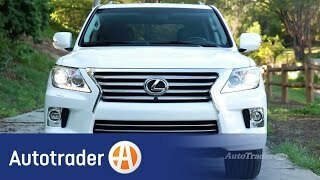 Talking about the technology integration Lexus LX 570 2015 offers you Siri Eyes free Mode and Lexus Enform App Suite upgraded version, however rest all is just like the fable form from past. Middle row has a 12-volt power outlet with power-sliding seats. 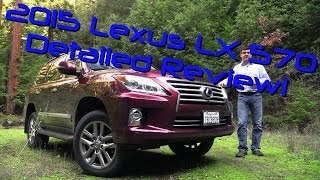 In all we noticed a whole lot of packages and features that comes with this all new Lexus LX 570 2015. 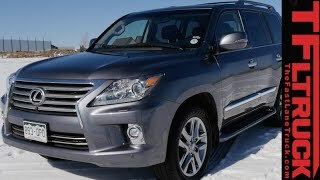 Exterior of Lexus LX 570 2015 is both luxurious and aggressive. Starting with the front fascia which portrays aggression through its trapezoidal grille located amidst the muscular shaped headlights with integrated indicators. Beneath it are fog lamps on each side, separated from tail lights through a strip that make its way through grille, making house for the massive air vent to send some fresh air to its powerful engine. To carry this entire muscular SUV, company fitted split five-spoke, 20” alloy wheels with liquid graphite finish. 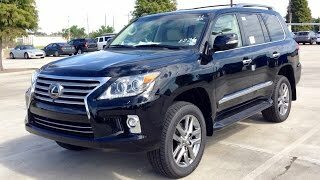 Lexus LX 570 2015 get its power through a 5.7 Liter V8 engine delivering total output of 383 hp and peak torque of 546 nm mated to six speed automatic transmission. 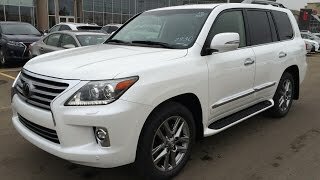 Lexus LX 570 comes with few features that make your drive smooth and safe like, vehicle Stability Control, Hill Start Assist Control and a sequential shift mode that allows you to select gears manually also.